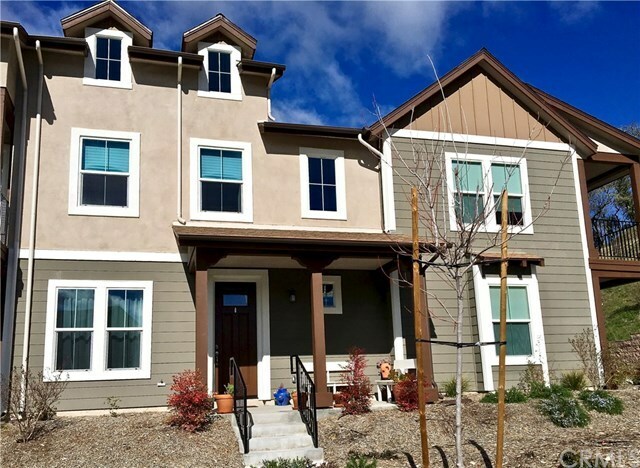 Don't miss this stunning home located in Woodridge gated community in South Atascadero. Only one year new, with many upgrades. This open floor plan features a stunning kitchen with large island, espresso stained shaker cabinets, manufactured granite countertops and energy efficient stainless steel appliances. This 4 bedroom, 3 bath home includes a spacious bedroom and guest bathroom on the first level. Beautiful master bedroom suite with vaulted ceilings, loft, walk in closet and dual sinks in the master bath with large shower and soaking tub. Jack & Jill bedrooms include shared bathroom with dual sinks. Large laundry room with like new appliances and sink. Additional upgraded features include beautiful wide plank laminate flooring, carpet, lighting with canned lights galore, E Stone solid surface counters in bathrooms, full home water softener and reverse osmosis system. Buyer to verify square footage of home. Located less than 15 miles from Cal Poly. Directions: Exit 101 @ Santa Barbara Rd, east past El Camino, left on Viejo Camino, right on Halcon, bare right on Calle Milano. Left into Woodrige.